The announcement was published in the Borneo Bulletin last Saturday, 19th September 2009. 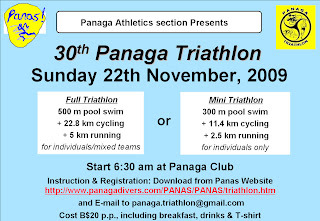 The 30th edition will be held on 22nd November 2009, 2 months from now. 2. The bicycle event will be 22.8km (2 loops) for the full event and 11.4km (1 lap) for the mini triathlon. 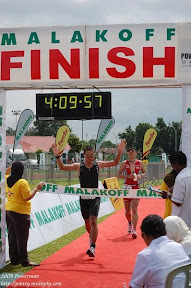 Last year it was 24km (3 loops) for the full event and 16km (2 loops) for the mini triathlon. I hoped you guys will read it and take note of it and not make the mistake of doing 3 laps.